N'Golo Kante is set to sign a new long-term contract worth close to £300,000 a week but former Blues defender Frank Sinclair has warned the club to keep the France international happy - as there will be a queue of suitors if they do not. 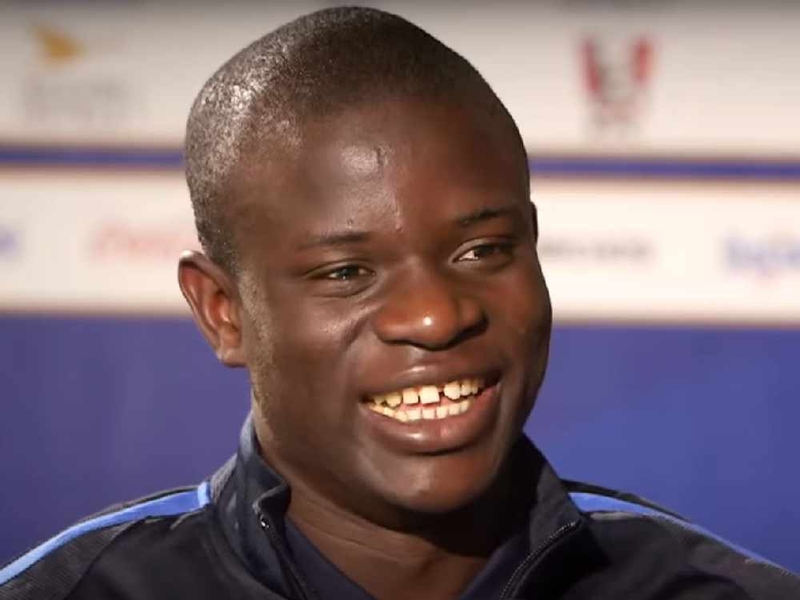 Chelsea signed Kante for just over £30million after he helped Leicester City win the 2015/16 Premier League title. He has since become an integral part of the side with 81 appearances in the Premier League in just over two years, excelling as a tireless defensive midfielder, but Maurizio Sarri has redeployed him in a more attacking role. And while Kante is still learning the position, Sinclair does not reckon the change will have upset him too much. "He's got a role to play in the team and it's obviously a new role for Kante, a bit more forward-thinking for himself personally," Sinclair told Ian Stone's Comedy Breakfast (weekdays 6.30am-10.30am). "He's certainly playing his part and getting used to it. Ex-@ChelseaFC defender @FrankMSinclair told @iandstone that he thinks a loan to move to a Championship club will benefit Hudson-Odoi more than one to a Premier League side. "You can see the progression in the understanding of playing that right side of midfield, rather than that anchor role protecting the back four which I still think he is the best in the world at. "But certainly he has an important role and a player of that class, there would be a lot of takers if there was a situation where he was unhappy at the club or was looking to move on because of the position he's playing in." Kante's move has come about because of the arrival of Jorginho, the Italian midfielder who was the key cog in Sarri's Napoli machine and whom the coach said he would not move to Chelsea without. But Sinclair insists that while Jorginho has been effective, Chelsea must work out how to survive without his influence at times. "The format and the way that Chelsea are playing this season has a big influence from one of the new signings in Jorginho," Sinclair added. "I've started to notice a game-plan from the oppositions to stop him getting on the ball. "So Chelsea have to figure out different ways to win games and come Saturday, the pitch will play a big part in the way Chelsea want to play. "It's not in the greatest condition at the moment for a Wembley surface. That could play a part in the game."